A total eclipse of the sun caused distress to ancient people. Now it is an event that brings security and delight. 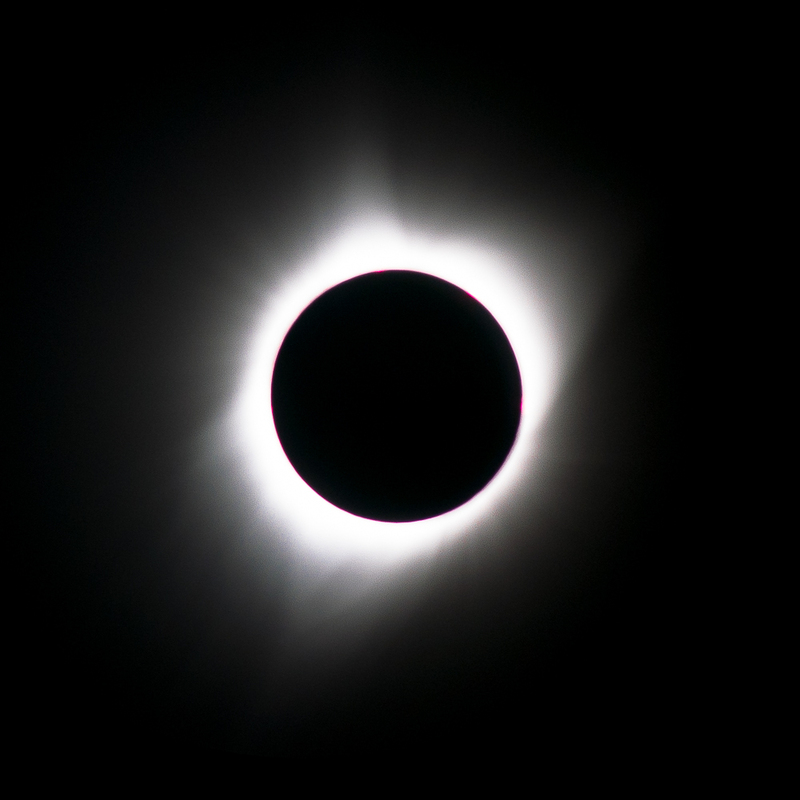 Most people are familiar with the earliest recorded accounts of total eclipses. "Nothing can be surprising any more or impossible or miraculous, now that Zeus, father of the Olympians has made night out of noonday, hiding the bright sunlight, and . . . fear has come upon mankind. After this, men can believe anything, expect anything." 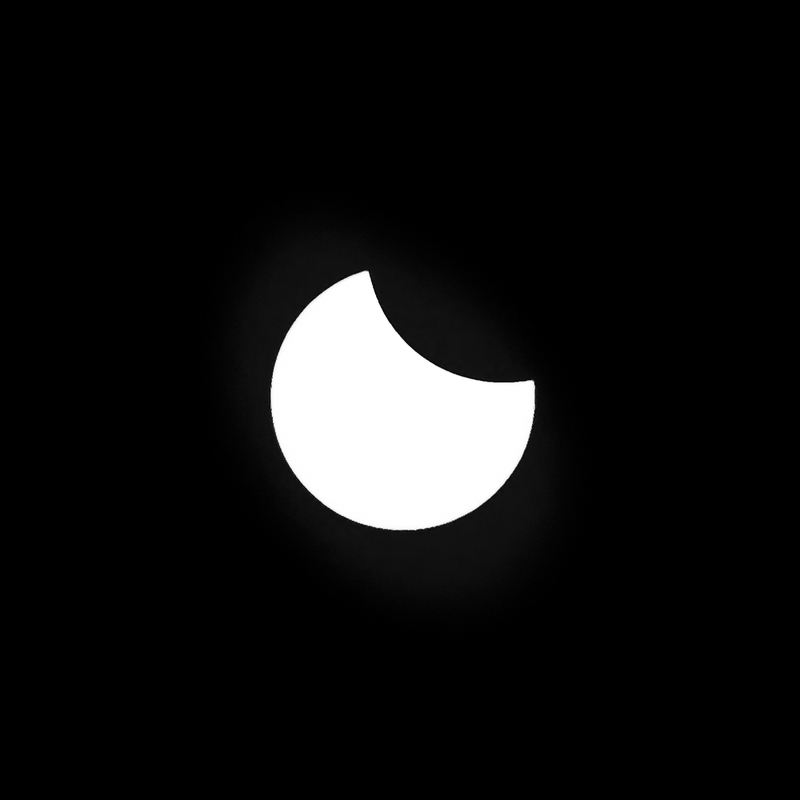 For me, the eclipse brings nostalgia and comfort. Eclipse Day, February 1979 was the last total solar eclipse in the continental United States. I was in my third year of community college and I drove a red-orange Ford mustang with a white racing stripe. I lived in my parents cinderblock track home with a ship’s bell clock that struck chimes every four hours. Sharing a room with my sister, we grew up walking to school traversing the University of Redlands. Nightly, we would hear the roar of jet engines being tested at Norton Air Force Base, and in the winter the air was filled with the smell of near-by orange groves. It was a trip before travel blogs, Google, Facebook, Instagram, digital photos, and iPhones. I have only a few paper photos of the trip, and I can find no written record of who was on the trip, what did I bring, where did we stay, or how long we were gone. What I can recall, is standing in complete amazement in the middle of a snowy cold John Deer tractor dealership parking lot. What I remember most is how I felt about the eclipse. 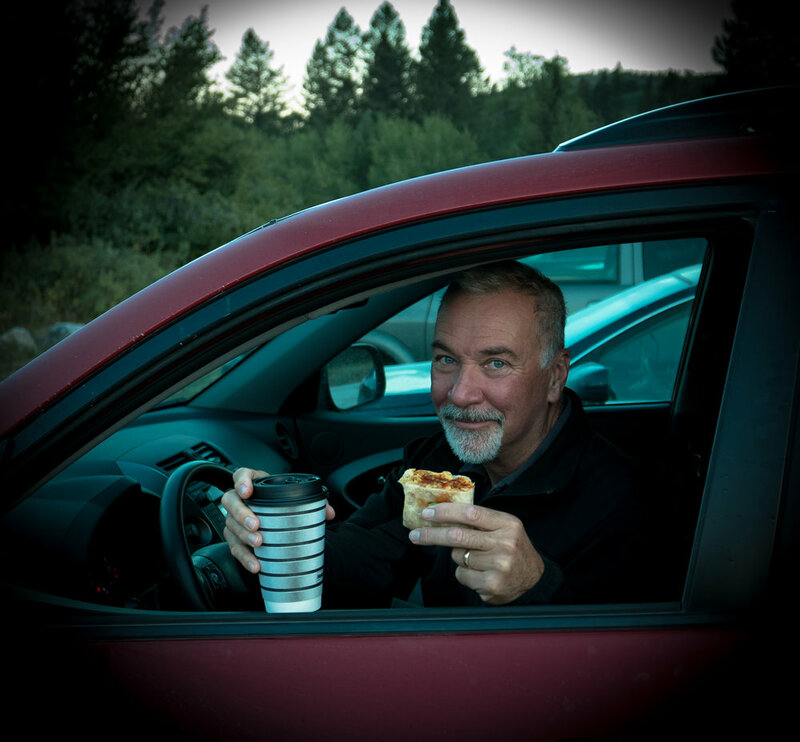 Keith is a Happy Camper with his morning coffee and breakfast burrito. Eclipse Day 2017. We set the alarm for 5:00 AM, jumped out of the cozy comfort of our teardrop trailer, and drove through sleepy Idaho farmlands. Millions were on the move on the roads of Idaho. The small town of Driggs wasn’t as crowded as I had feared and we were even able to grab a café latte and breakfast burrito before heading out the dirt road to the Sheep Bridge Trailhead. A few days earlier, we had scoped out the location on the Targhee National Forest, just west of Grand Teton National Park. Arriving before sunrise, I was relieved that there was still plenty of parking. Pink Floyd was ringing in our heads: “All is in tune…” we just needed the sun to be eclipsed by the moon. We set up our chairs and pulled out our optics. 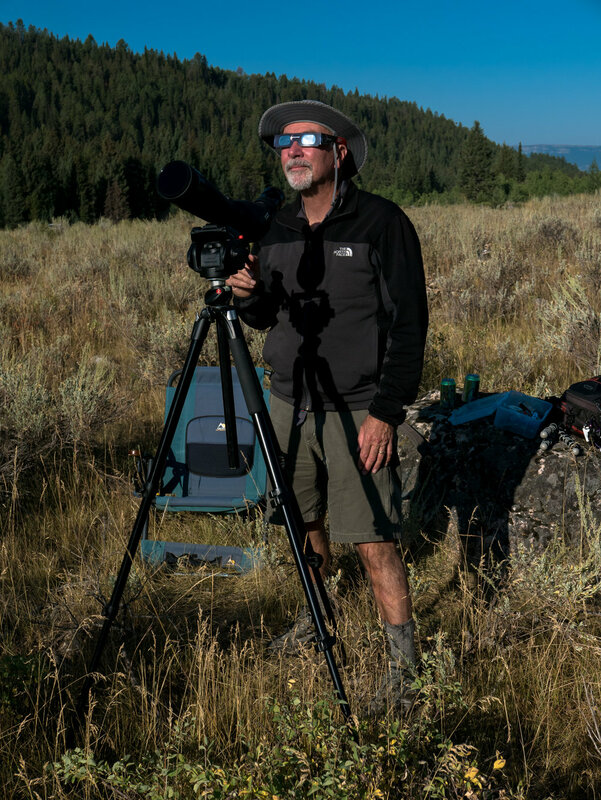 After months of planning, Keith positioned his spotting scope outfitted with a color-corrected solar protective filter. I had my Olympus camera with my home-made solar-mylar film holder. We wore our solar glasses for safety. Knowing that I wanted to share the event on my blog, I secured my iPhone for a selfie. We were ready, and we looked good. As the moon cut across the sun, and the shadow moved from the top right to the lower left. Not fast enough to see the movement, but you could feel the change. The moon was a consuming darkness against the sun. The contrast of the sunlight and moon-shadow was sharp and clear. Through the spotting scope we could see sunspots and solar flares. The partial phases moved very slowly. Colors changed and it did not feel like cloud cover. It was eerie. I felt the transformation, and I knew it was rare and exclusive to this moment. The air grew colder and colors changed. Moments before totality, I dropped my protective glasses and was shocked at the darkness. Taking care, I waited until it was safe. Totality arrived. I pulled the solar filter off of my camera, and Keith did the same. I bobbed between looking through the spotting scope and pushing my camera shutter. I completely forgot about taking a selfie. "Stop." I stepped away from the optics and just looked directly at dark hole in the sun. The ghostly sky was all around. I didn’t want to take my eyes away. The sun was black surrounded by the brilliant corolla. Bits of pink light could be seen on the shadow's edge. An old friend, Venus, glimmered mid-day. You could see light on the horizon. Everyone shared a common moment. We howled like wolves and cheered. Even if you were alone in a meadow, you knew there were millions of Americans sharing the same shadow moving across the country. How many people took time out of their busy lives to be here for the mutual experience? We shared our spot with three young men: a breakfast line cook, a house cleaner, and a line cook from Old Faithful. They all jumped into their cars to race to see what we came to see. We had nothing in common with them other than this once in a lifetime event. 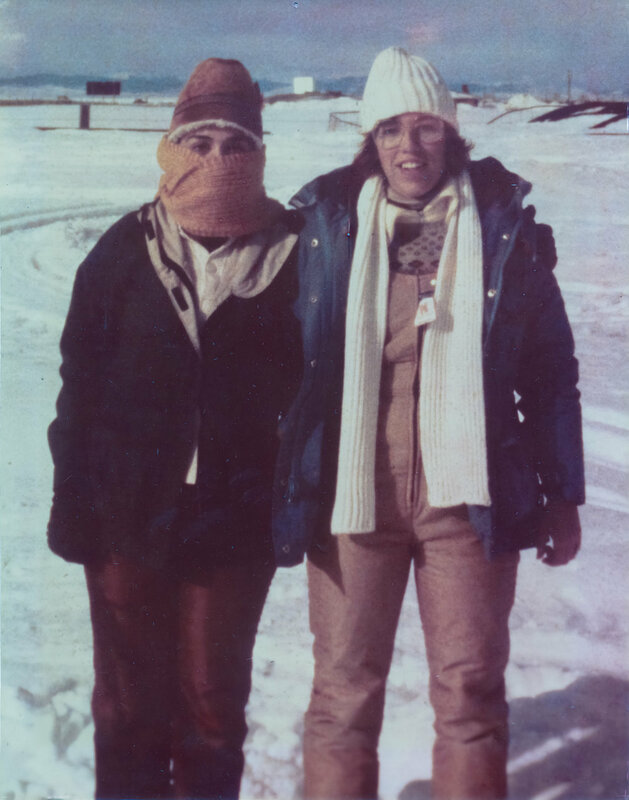 Science provided a collective communal experience. All Americans could know what was going to happen. No matter who you were, you could participate in a joyful historic event. There are not many common occasions where we could all share the thrill of an event together. Keith and I took five days to incrementally make our way to our spot in Idaho. Others also traveled long distances. We all researched the path of totality, planned the route, packed the car, payed for gas, found a site, and waited under the path of totality. It didn’t just happen, you had to know where to go and when to be there. Seeing it was not a random act. You needed science and a plan. It was about understanding the astronomical changes and feeling it for yourself. It was a very emotional sensory experience described in advance by science. After all our equipment was packed, we confronted the traffic to enjoy a pint of beer at the local brew pub. Everyone was there to tell and listen to the stories. “Where did you watch the eclipse?” “Where are you from?” “How long have you been here?” “Wasn’t that absolutely amazing!” could be heard around crowded tables. It was a celebration, like a grand sporting event, a shared big win by all who were there. I thought I knew what to expect, and it exceeded my expectations. Sheer, complete, child-like amazement at the beauty of the universe. There was no arguing and there were no disagreements. There were no lies or alternative facts. There was only one explanation and we all agreed - the sun was eclipsed by the moon – and it was emotional and amazing. The Greek poet Archilochus was right. “After this, men can believe anything, expect anything." For two minutes, we all expected and believed in a shared reality facilitated by past knowledge, experience, and truth. Science is real, and we all saw it in the shadow of the moon. If you want to sing along, here is my personal video of “Eclipse” by Pink Floyd.